Hospitals and provider groups today rely on financial management systems for their billing and collections. When consolidation takes place and one or more of these systems needs to be integrated, it can wreak havoc on revenue cycle operations. 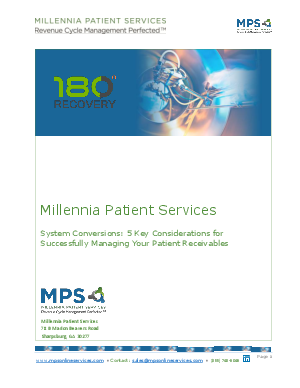 Thus, special care must be given to patient receivables in order to maintain cash flow. Download this whitepaper to learn the five most importation considerations to successfully convert to a new revenue management solution.